Login in to your google account that is associated with Northern Alberta Health Libraries Association. 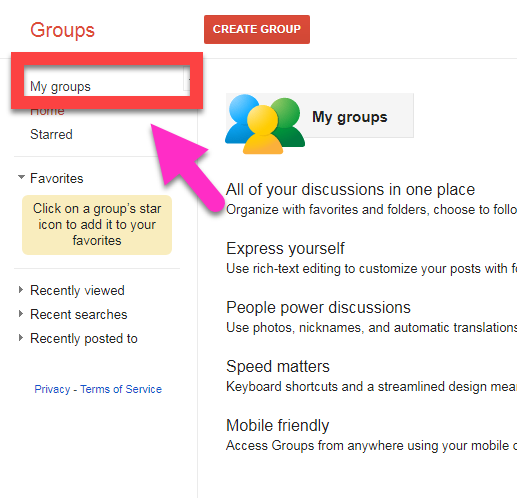 You will see a link to your groups on the left hand side of the page. Click on it. Your google groups will appear, Northern Alberta Health Libraries Association will be one of the groups, click on it. You can see all the messages that have been posted to the group here. To post a new message to the group, click on the red NEW TOPIC button on the left hand side. 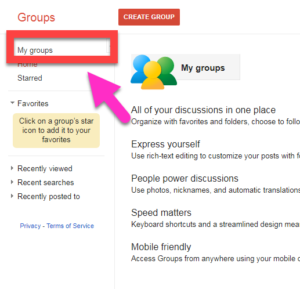 Save the email address for the google group in your email contacts. To send a message to the group, just choose the email address from your contacts, write the post, and send it off.